The DOGFATHER offers a unique concept on Koh Samui in the form of organised and professional pet care and dog training. The boarding accommodation available ranges from basic to air-conditioned exclusive suites for the island’s truly pampered pets. 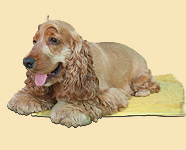 A full and extensive list of pet services and recreational activities are provided which cater to the different needs and energy levels of each individual dog. The DOGFATHER is one of Thailand’s leading professional pet boarding and dog training facilities and you can rest assured that everything possible is done to safeguard your pet’s health and wellbeing during their stay. Please come and visit us to see for yourself the reasons why we have built such an impressive reputation.